Escomb is situated two miles west of Bishop Auckland in the Wear Valley. The church was built around 675 AD with stone probably from the Roman Fort at Binchester. It was originally thought that the church was an offshoot of one of the local monasteries eg Whitby or Hartlepool but this is only one of several possibilities as there are no known written records until 990 AD. The church is one of five parishes grouped with Etherley, Hamsterley, Witton Park and Witton-le-Wear . 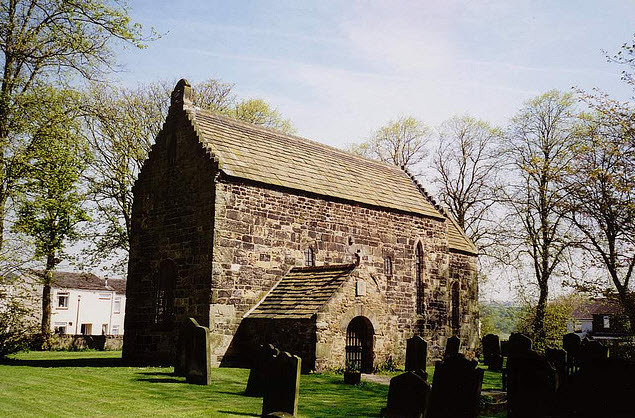 Escomb church is on the national register of the Small Pilgrim Places Network. These places are small, spiritual oases, offering an atmosphere that encourages stillness, prayer and reflection for people of all faiths or none. Holy Communion: 1st, 3rd and 4th Sundays of the month at 11.00am. Celtic Church: At 4pm on the first Sunday of every month – a non communion service in the Celtic Tradition. Meditation: At 7.30pm on the 1st and 3rd Wednesday – a time for quiet contemplation in church. We are very happy to welcome anyone for weddings, blessings, christenings and other special services. Just contact the vicar at elishevamechanic@gmail.com and we can try and work out how best to help you celebrate your special time. Escomb is located 2 miles west of Bishop Auckland in county Durham. For a details of how to find us please visit the Directions page. Keys available from 28, Saxon Green, Escomb and just let yourself in.